Our new menu has a great choice of freshly prepared dishes – and fantastic value. From our delicious homemade chicken and beef burgers to our locally sourced fish and seafood dishes, our varied gluten and vegan friendly menu has something for everyone. 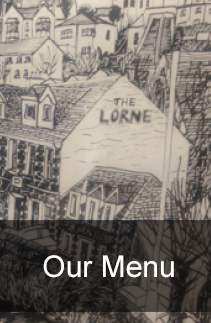 At the Lorne Bar, we pride ourselves in our great choice of ales and lagers – You will be hard pushed to find anywhere in Oban with the choice of draught beers of quality that we offer! View our Feast for a Fiver Menu.